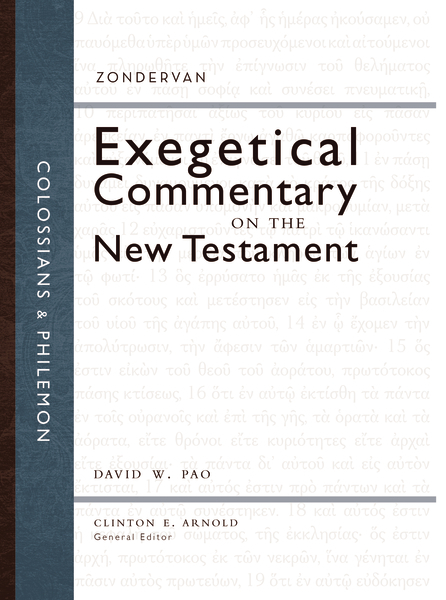 Colossians and Philemon is another release in the Zondervan Exegetical Commentary on the New Testament series—the only commentary series with a graphical display, theology in application section, and identification of the main idea for each section. In his epistle to the Colossians, Paul responds to challenges posted by various religious currents in first-century Asia Minor by pointing the church to the sufficiency of Christ’s work and his lordship over believers’ lives. Through this Christological lens, Paul critiques the religious practices that fail to conform to the true gospel, and he presents an alternative way of living that reflects the lordship of Christ in every aspect of life. In this epistle to Philemon, Paul issues a profound challenge to believers as he calls for the realignment of fundamental human relationships in light of Christ’s lordship. In both epistles, Paul demands that the believers’ beliefs and practices align with their confession of Christ as the unique Lord over all.